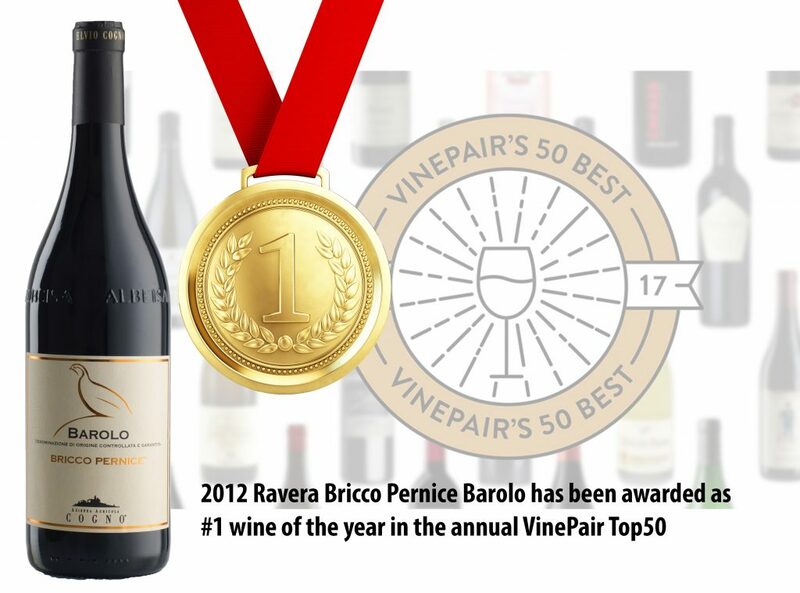 we are thrilled to share with all of you that our 2012 Ravera Barolo Bricco Pernice has been selected as the #1 wine of the year in the annual VinePair Top 50. We consider Valter Fissore — Elvio Cogno’s son-in-law — to be one of the most talented, interesting winemakers in Italy. Despite receiving international acclaim for his consistent, high-end Barolos, Fissore has zero pretension. Always lively, Fissore’s wines have exceptional balance and purity of fruit. The Bricco Pernice Barolo comes from a specific vineyard plot within the lauded, long-aging Ravera cru. It’s elegant, silky, powerful, and refined, with bright red fruit, soft tannins, and a thin line of acidity that will preserve this cuv饠for decades to come. It’s the kind of bottle that embodies traditional Nebbiolo, yet defies the Barolo region’s tannic, angular, unapproachable stereotypes. Elvio Cogno always maintained that this vineyard was truly special. After sipping this time capsule of a wine, we fully agree.